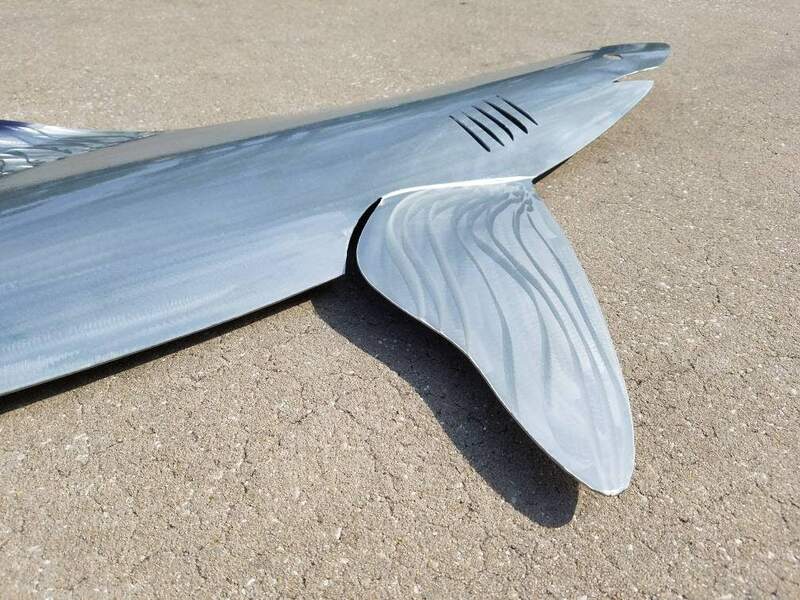 Plasma cut blacktip from aluminum. 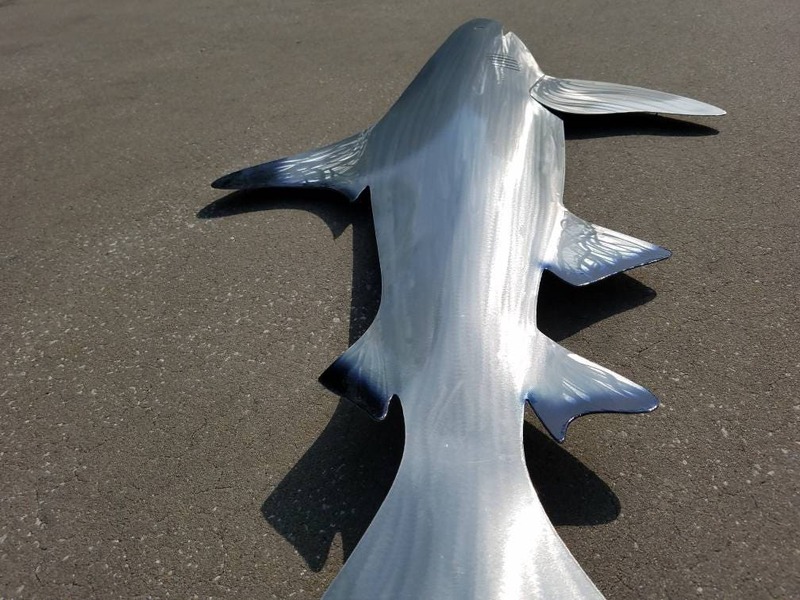 Hand cut and formed this fish is one of a kind! 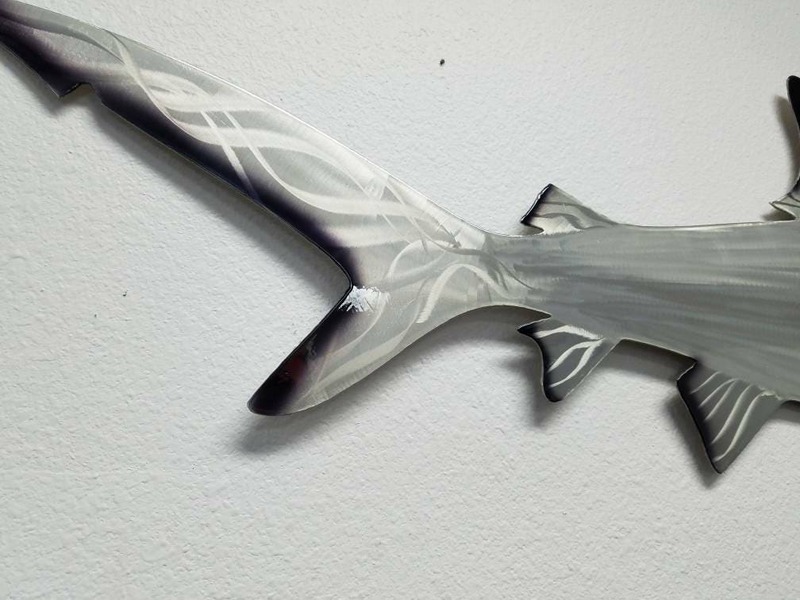 Finished with an airbrush, some examples are shown but can be customized to your ideas. 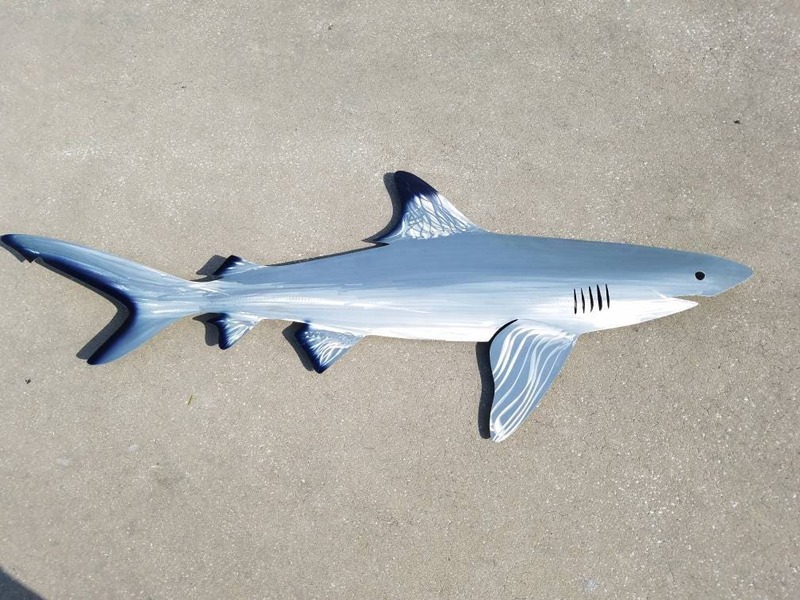 Shark is powder coated in clear to protect the finish from oxidizing. 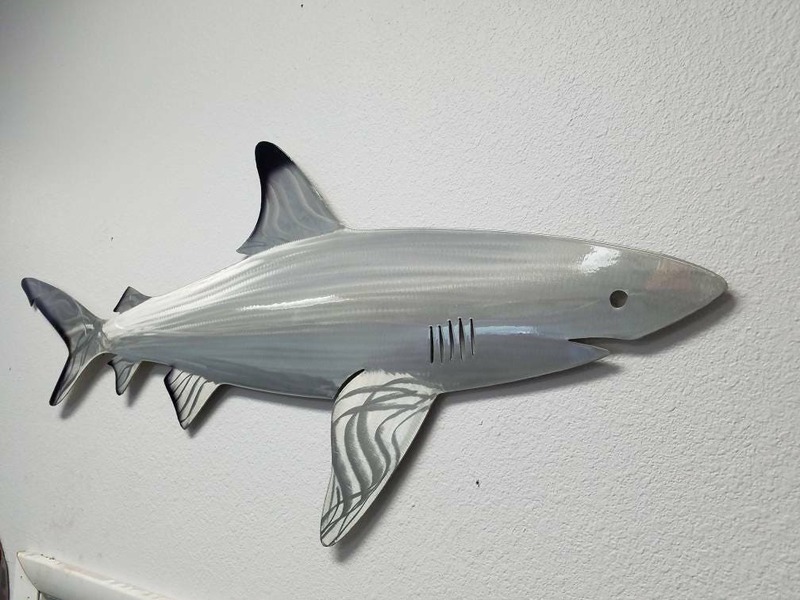 Shark has aluminum pins welded to the back to allow it to float off your drywall. Simple to install. If you would like a more traditional wire hanger please just ask. Standard size is 48" x 20" but custom sizes are available up to 8' long. Send us a message and we will send you a quote. Custom colors also available, just ask!